A Virtual Guns N' Roses Reunion. In the late 1980's and early 1990's, Guns N' Roses was the biggest rock & roll band on Earth. After such massive commercial success, there was no where to go but down. After a 3-year world tour complete with multiple riots, sell-outs and controversies & the exodus of 2 of the band's core members, lead guitarist Slash left the band amid tensions over artistic differences with singer Axl Rose. Since then, Slash has gone on to release music with Slash's Snakepit and Velvet Revolver, as well as guest-starring on dozens of tracks with artists as diverse as Michael Jackson, Bob Dylan, Ray Charles and Iggy Pop. This year, he released his first-ever "solo" album. Axl Rose soldiered on, retaining the brand name "Guns N' Roses," and touring over the past decade with a rotating lineup of musicians featuring, most notably, guitar-virtuoso Buckethead. In 2008, he released his 10-years-in-the-making album, Chinese Democracy. Both artists have proven that they are capable of making great music separately, but there was always something missing. 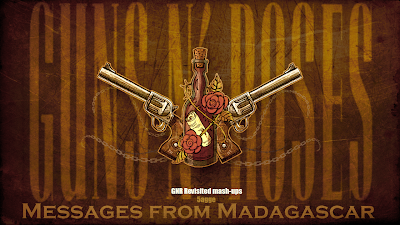 DJ 5agge has combined Axl Rose's vocals from Chinese Democracy with tracks from Velvet Revolver (featuring Slash, Duff McKagan, Matt Sorum and Dave Kushner) and Slash's new solo album. 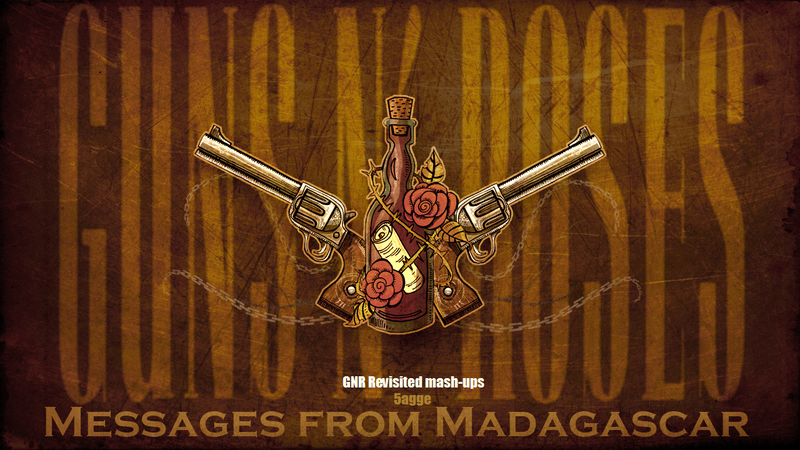 The mashups contain elements of Axl Rose's vocals from "Prostitute," "Chinese Democracy," "If the World," "There Was a Time," "Scraped," and "Madagascar," as well as audio from Axl Rose's performance as DJ Tommy "The Nightmare" Smith from the video game Grand Theft Auto: San Andreas. The instrumentation comes from Slash's "Beautiful Dangerous," and Velvet Revolver's "Slither" & "Messages," (an iTunes bonus track from the band's much-maligned 2007 release Libertad). All 4 songs sound killer - Axl's voice and Slash's guitar complement each other perfectly. You can tell by these remixes that a new album from Axl and Slash would totally rock and would beat anything either has done post 1993. Axl and Slash may never reunite, but this EP is the next best thing. You can listen to all 4 songs on 5agge's YouTube channel or download a zip file of the entire EP here. Izzy Stradlin' was a more prominent songwriter than Slash was, and has put out more solo albums than any ex-Gn'R member. Duff McKagan has also put out several albums worth of songs on his own.